This pair of car speaker spacers are made of durable hard plastic material. 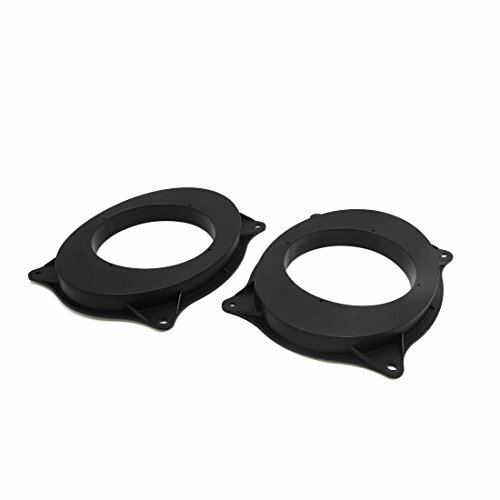 9.9 x 7.4 inch oval black speaker spacers 25mm in depth. Effective to stop the speaker installation location of the resonance. Utilizes existing vehicle mounting points,and requires no cutting or drilling. Speaker adaptors are needed when you want to replace the original one in you vehicle. They are easy to fit and ensure they fit securely. You can install the speakers you want by adding extra depth. This is Non-OEM product.Only accessory!